As the coordinating public safety agency for the City of New Orleans, the Office of Homeland Security and Emergency Preparedness (NOHSEP) is responsible for administering the City’s crisis and consequence management program. It coordinates the activities needed to protect the lives and property of its residents from crises - both natural and man-made - through “all-hazards” planning. 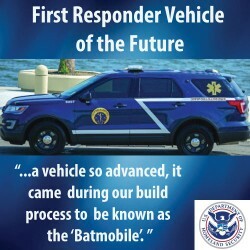 The Department of Homeland Security and Emergency Preparedness of New Orleans (NOHSEP) and New Orleans EMS created a cross-collaborative First Responder Vehicle of the Future. 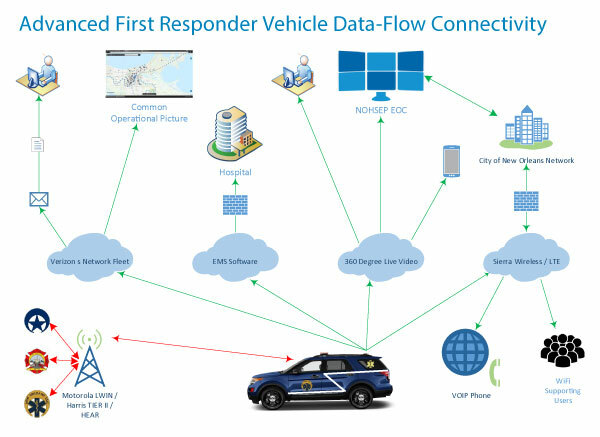 With the challenge to engineer a cross-collaborative First Responder Vehicle of the future, they came to Panorama Antennas with a need to reduce the antenna space needed both inside and outside of the vehicle. 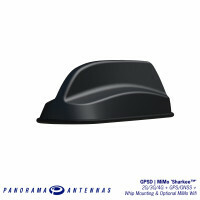 NOHSEP and New Orleans EMS Chose the GPSD, GPSB, EFW24 and the LPM3 to provide the best performance while reducing antenna real estate needed on the vehicle. 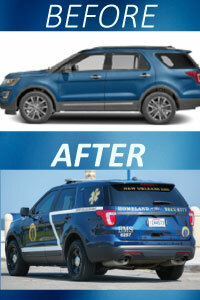 NOHSEP replaced the factory antenna on the Ford Explorer with the GPSD to provide a streamlined look, reducing space needed on the roof. The GPSD was used to provide needed elements for the new Sierra Wireless MG 90 Router, combining the WLAN, LTE and GPS, along with Bluetooth and Band 14. 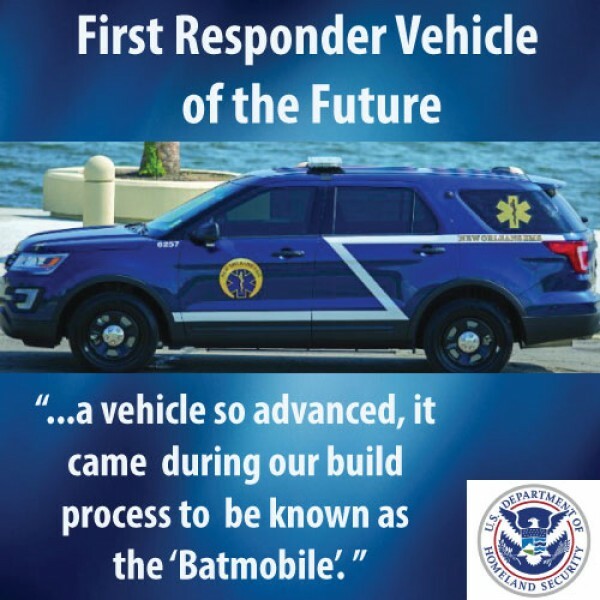 The GPSB was placed behind the light bar on the vehicle to provide critical comms radio 7/800 with dual band VHF capabilities, as well as giving an additional GPS for a Radio system. 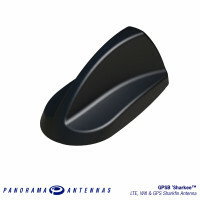 To provide additional interior WiFi capabilities, the LPM3 was deployed in the rear portion of the vehicle near the rear door. Finally, to provide Hot Spot Capabilities, the EFW24 was used inside the vehicle as well. Before Panorama Antennas, Metro Fire was engineering an “antenna box” on top of the fire truck to install their NMO mounted antennas. This box was needed because of the thickness of the fire truck roof; it was a double paneled ceiling. The Sharkee, with the M18 mounting bush, fits perfectly through double panels solving this problem and replacing the need for an “antenna box”. 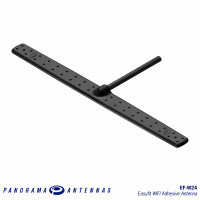 Not only does our antenna solution cut down on the amount of antennas needed from 4 antennas to one, it also saves time and money for Metro Fire.